Granite County and its county seat, Philipsburg, came to life during the silver mining boom of the late 1800s. Philipsburg’s Hope Mill was the first silver mill in Montana, and nearby Granite Mill was the greatest silver producer in the state. At its peak, Philipsburg was home to more than 3,000 residents, but the Silver Crash of 1893 devastated the mining business and most of the population disappeared nearly overnight. Meanwhile, alongside the mining boom, Utah cattle baron Fred Burr introduced cattle ranching to the Flint Creek Valley in the 1850s – a pursuit that has persevered through the decades. The Ranch at Rock Creek was originally a mining claim in the late 1800s. Somewhere around the turn of the century, The Ranch was homesteaded by W.W. Shaffer and P.W. White and has since been operated continuously as a working cattle ranch. 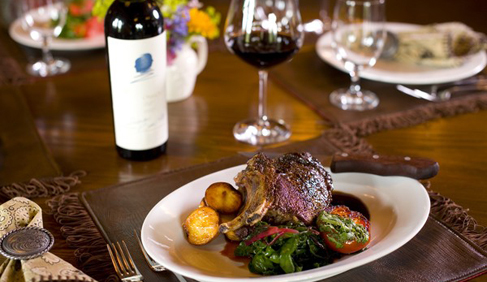 The current owner, Jim Manley, purchased the property in 2007 after a lifetime search for the perfect ranch. With the exception of nearby Philipsburg (population approximately 930 persons), you will put anywhere from 30 to 50 miles of mountains, meadows, lakes and streams between yourself and any real evidence of civilization once you arrive at The Ranch at Rock Creek. 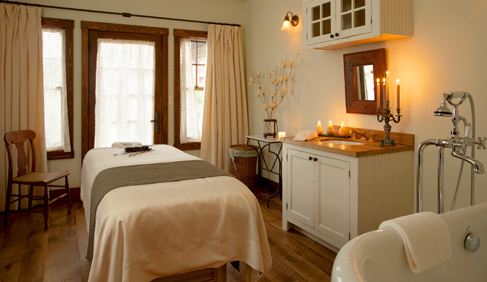 Whether you’re looking for big mountain adventure, peaceful strolls by Rock Creek, relaxing spa treatments or all three, you’ve arrived at the right place. 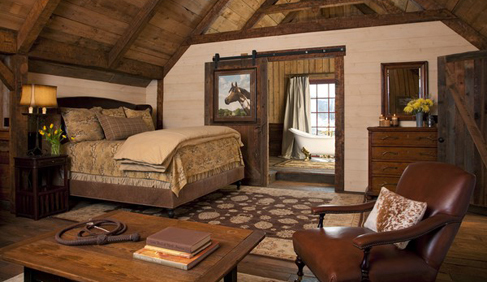 While we can’t take credit for the scenery, we have designed our guest ranch to offer a unique Western style of a luxury getaway. From the carefully decorated rooms in the Granite Lodge to the unforgettable ‘glamping’ experience' in our Canvas Cabins, we have strived to maximize your comfort, enhance your enjoyment and allow you to relax fully. 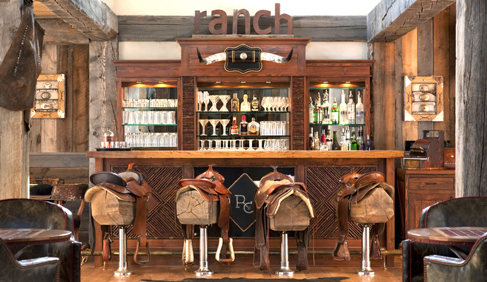 No matter what you have come here looking for or who you’re traveling with, The Ranch offers something for everyone and many unforgettable memories will be made. Embrace the fortifying beauty of a Montana winter with all the vigor of a 19th-century frontiersman. Inspired by the real-life Montana exploits of The Revenant protagonist Hugh Glass, this all-inclusive offer lets you choose your own four-day adventure with the peaceful knowledge that you’ll be back in Forbes Travel Guide Five-Star comfort in a few hours’ time. The Ranch’s luxury log homes, lodge rooms and glamping cabins sit in a wilderness little changed since trappers, miners and cowboys first settled the Western territories. Channel Glass’s fortitude on a half-day survival skills challenge, an ice-fishing trip to catch Kokanee Salmon, a private horseback ride and target shooting adventure or one of our other gripping winter excursions. 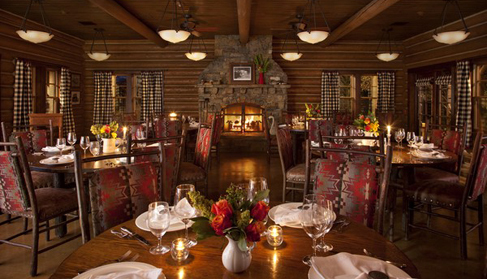 Return to the Granite Lodge for a Saddle Sore Soak spa treatment and a fireside craft whiskey and beer tasting, before dining on Executive Chef Drage’s locally sourced delights, like braised elk or lamb porterhouse. Half-day survivor skills challenge in the wilderness. 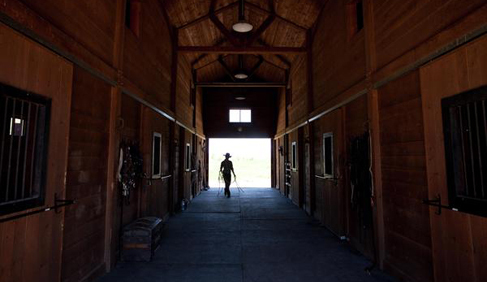 Private horseback ride and target shooting with Chef’s provisions. Private ice fishing excursion with campfire lunch. Private snowmobile excursion through the National Forest with campfire lunch. One 105-minute Saddle Sore Soak treatment in the Granite Spa. 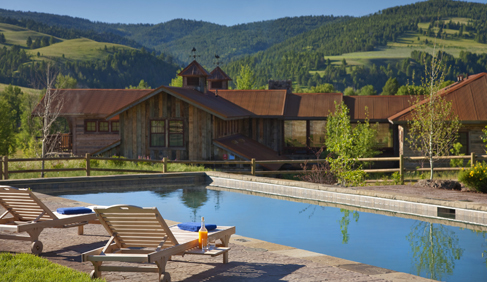 Details: Rates start at $1,800 per accommodation, per night based on standard occupancy, plus 20% Ranch Fee. Offer valid on new reservations only between January 1, 2017 and March 31, 2017. A four (4) night minimum stay is required. Offer is not combinable with other promotions or offers, and cannot be redeemed for cash or credit. Based on availability. Blackout days may apply. Complimentary amenities depend on snow conditions at time of stay. All guests are strongly encouraged to plan their itineraries related to their complimentary amenities prior to their arrival to secure preferred timing. Learn more! Email The Ranch at Rock Creek. Call 877-786-1545. Visit their website. There are nine rooms in The Granite Lodge, each finding design inspiration in iconic Western themes, such as the great old railroad hotels during the turn of the century and the classic guns that helped win the West. 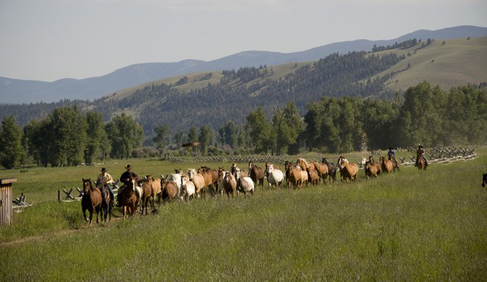 Our Lodge weaves luxury, style and authenticity together in a manner unique among guest ranches in Montana. We offer private cabins & log homes to provide guests with additional privacy on their ranch vacations, while easy access to the Granite Lodge remains. We have a wide variety of homes that are ideal for families and friends to spend time together. 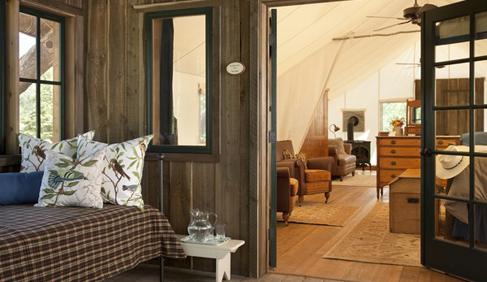 For some, the definitive experience at our luxury guest ranch is to stay in one of our signature Canvas Cabins—the true ‘glamping’ experience. Yards from Rock Creek, these ‘tents,’ as they are casually called, offer the best way to feel a part of nature. They are individually furnished in a rustic camp style, featuring private baths, comfortable beds with luxurious bedding and the murmur of the creek running by just outside your front door. The luxury canvas cabins are truly the best of both worlds, a luxury guest ranch experience rooted in the deepest creekside privacy. 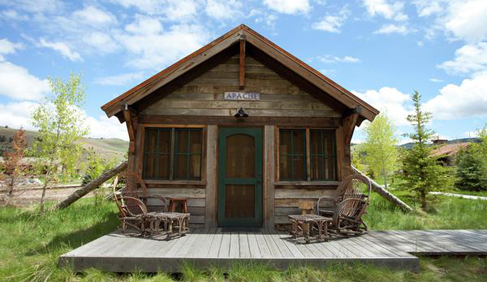 Immerse yourself in nature by staying in one of our eight canvas cabins. 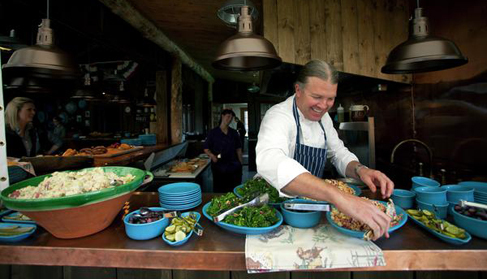 All rates include full board with breakfast, lunch & dinner in the Granite Lodge and/or the Blue Canteen. Also included are all premium wine, beer and spirits during meals or in the Silver Dollar Saloon. Our coffee & tea bar is available throughout the day, as well as regularly provided snacks. Social hour is hosted daily in the Great Room featuring appetizers and signature cocktails prior to dinner. We also offer a kids’ menu. In addition to our array of dining options, we offer a myriad of entertainment in the Silver Dollar Saloon. Whether you prefer to sit down to an after dinner drink at the bar or the ball rolling in our four-lane bowling alley, the Saloon offers a variety of games that everyone will enjoy. The ranch has a large variety of activities to choose from. All on ranch activities are included in the rate. 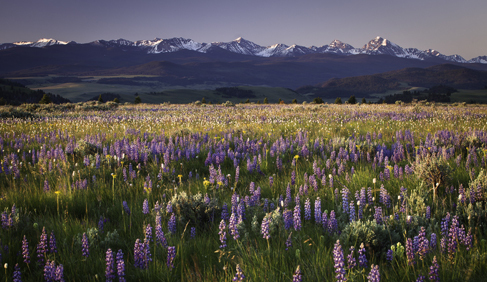 Horseback ride through peaceful meadows or to a ridge-top view. Arena lessons for children and adults are also available. 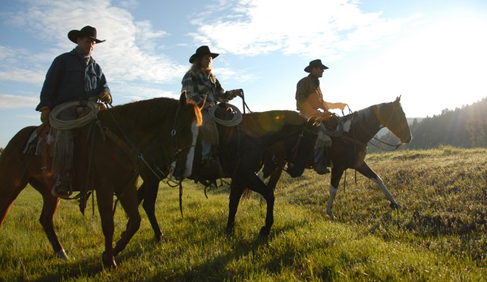 All riding at The Ranch is Western-style, which is designed for comfort during long hours on the trail. The horseback riding program includes one- and two-hour trail rides, arena riding lessons, the art of horse communication class, carriage and wagon rides, and introductory lessons to pole bending and barrel racing (for experienced riders only). The Ranch also hosts a weekly in-house rodeo during the summer season. 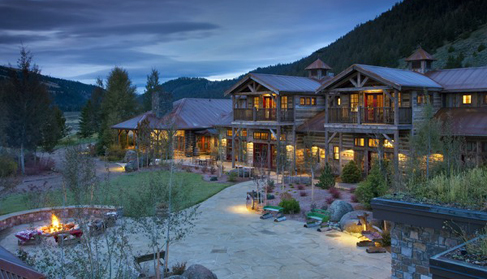 The Ranch at Rock Creek provides all guests with the opportunity to find their inner sharpshooter. With four separate shooting ranges available year-round, we can accommodate some of the most popular shooting disciplines, utilizing the most current and recognized equipment available to challenge avid shooters and train amateurs alike. 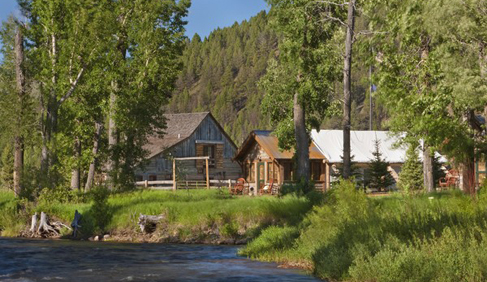 The Ranch at Rock Creek encompasses four miles of private access and pristine river frontage on acclaimed blue ribbon trout stream Rock Creek. 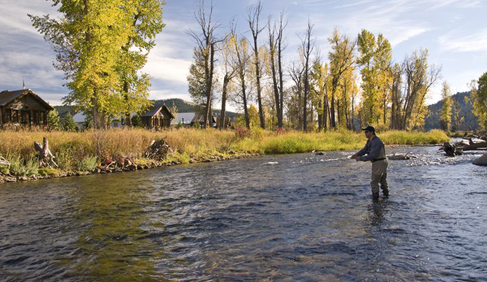 Our experienced guides will share their secrets of the stream to ensure each day of fishing is exceptional. A unique hiking archery course, with eleven 3-D targets, sits nestled into the hillside behind the Granite Lodge. 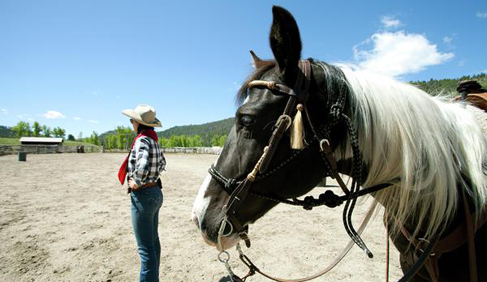 The Ranch offers a genuine Western equine program with a variety of disciplines available to satisfy every guest. In addition to these activities, we do provide the following: Mountain Biking, Hiking, Ropes Course, Little Grizzlies Kids Club, Wildlife Watching, Stagecoach Rides, Horseshoes, Outdoor Swimming Pool & Hot Tub, Cross-Country Skiing, Snowshoeing, Ice Skating, Snowmobiling, Snowcat tours, Sauna services, Entertainment in the Silver Dollar Saloon: bowling, billiards, shuffleboard, movie cinema & board games. 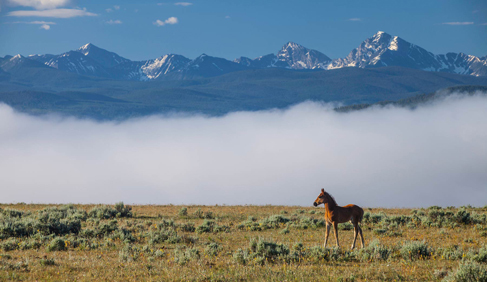 The ranch features a full-service spa and several off-ranch excursions such as Fly-Fishing Float Trips, Sapphire Hunting, Ghost Town Tours and Hot Air Balloon Rides for an additional fee. Cash, check, debit/ credit, wire transfers.